Little Calf Roper Personalized Print is a from a painting by Carolyn Altman. The print is printed on canvas in Carolyn's art studio upon order. 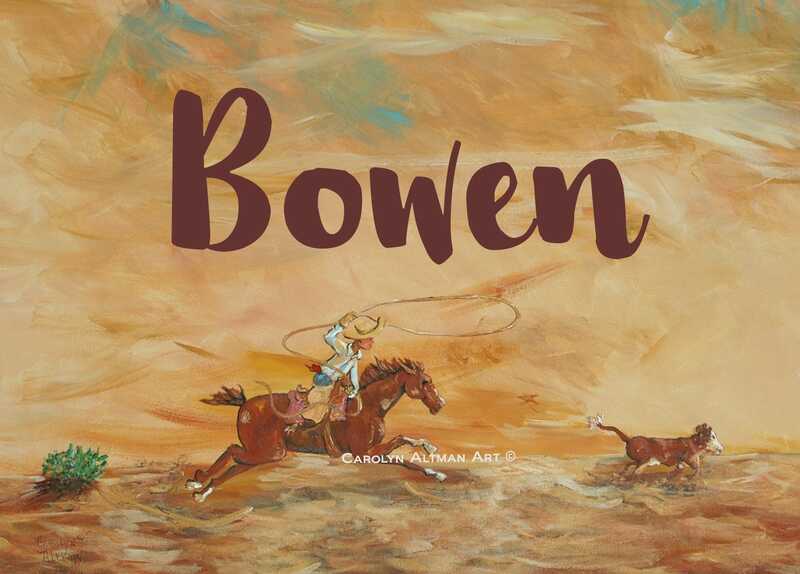 Personalize with child's name added to this cute cowboy calf roper art print. Let Carolyn know the name by adding it during check out or send me an Etsy conversation. Each print is carefully inspected by the artist to assure the colors are correct.